Come and enjoy an amazing sunset amidst the wonderful scenery of El Teide, one of the most beautiful places of the island – declared a World Heritage Site by UNESCO. At 3718 meters high, it is the highest mountain in Spain. 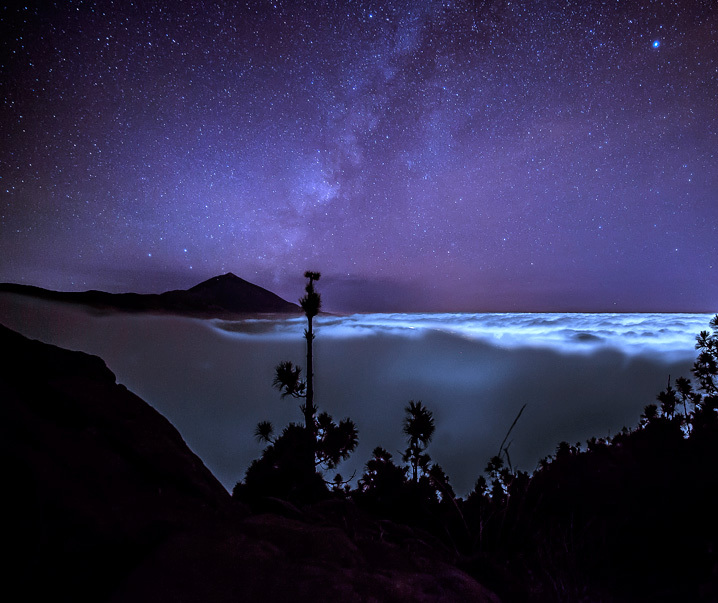 The Teide by Night excursion will bring you magical holidays moments in this world-renowned spot for astronomical observation; actually, Teide National Park has been crowned a “Starlight Destination”, recognizing that it is one of the best places to stargaze away from light pollution. Watch the sun go down as you enjoy complimentary glass of champagne; once darkness has fallen, your professional guide will point out the night sky for you with laser technology, name and explain the different constellations and answer any questions about this wonderful dive within the Milky Way. An amazing place to celebrate those special moments and birthdays, on this unique and unforgettable excursion. Various viewpoints where you can relax, enjoy the views and take those special photographs. Discover lunar landscapes of the Mount Teide National Park surrounded by lava flows with your professional guide. Enjoy special sunset moments with a complimentary glass of champagne or Spanish wine. Our professional guide will reveal you all the secrets of the celestial vaults, naming and explaining the starry constellations. Drop off to your hotel around 9 PM. Wear warm clothes, especially during winter. Bring your camera for wonderful memories. At 3:30pm from the South or North Area. Enjoy dinner in a restaurant of the national park. Glass of champagne or Spanish wine. Only suitable for children over 12 years.